What to learn from LinkedIn’s new mobile launch? You’ll find every app beautiful these days, especially if you read tech news. Aspiring to beauty in the app designs is appreciable, but it does not necessarily guarantee usability. The main problem is that no one has truly figured out ways to describe their product effectively. For instance, ‘Write’ which is a note-taking app, describes itself as a beautiful place for all your notes. This doesn’t say much about why one might desire to use it. On the other hand, Macworld describes it as an easy markdown writing for dropbox users. This description is both concise and specific and so, if you like markdown and use dropbox, you’ll definitely read more. As such, the word beautiful says very little about a product and different adjectives reflect different attitudes. Digital product design has grown quite superficial in the past few years. Most of the attention goes to the issues like flat design, color scheme, parallax scrolling, and (or) underlining links. It’s not that these things are not worth discussing, but usability and information architecture are equally important. Things were not always this way (talking about a period of mid-90s). In fact, the earlier designing professionals faced an opposite problem. Software wasn’t really a friendly place for graphic designers and the web was a limited medium. The desktop platforms and animation effects were even more limited. The followers of human-computer interaction disregarded visual design. They mainly dealt in usability, information architecture and visualization of data. In either of the above case, one or the other thing is lacking. What we require is a product that is both usable and attractive. Think you have a choice between a usable ugly product and a usable attractive one, what would you choose? Undoubtedly, the latter one. By the mid-2000s, the digital designers started to fall under two categories viz. the user experience design (UX) and visual design. Visual design was basically applied graphic design that brought UX to life in the form of pixels. The two designers were put to work on the same project and the results were indeed amazing. 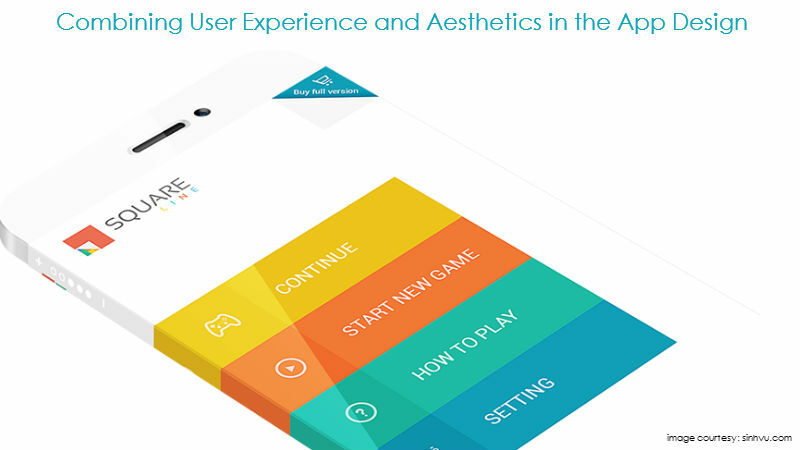 Designers and users were getting inclined towards enhancing the app’s look and feel. This shift in perspective combined with the technological improvements promoted visual designing. Designers had a wide array of colors, large displays and tools to build smooth animations. CSS and DOM equipped them to build fully styled, animated and interactive apps. Although, there were some limitations like low-resolution displays, it was possible to build a reasonably distinct and polished product from graphics point of view. And the things kept getting better. Animation got smoother, richer and much simpler to develop. Web fonts so diverse you could hardly think about previously. Today, designers are served with groundbreaking power to deliver cinematic delight. By 2011, the attitudes started changing again. Few of the companies separated UX and design teams. The relationship fell apart and user needs were increasingly divorced from the design. Last year witnessed the victory of flat design over skeumorphic, that was somehow unreal to the medium of a digital display. In the process, the makers forgot that digital display is not, in fact, our medium. The display or the touchscreen are themselves the artifacts that we’ve developed in order to work with our real medium viz. the user. As such, the beauty is actually wasted when the product doesn’t address the real user needs in a usable manner. A different perception suggests: The product gets uglier if it fails to meet user needs. A truly great design is a derivation of art and science, of aesthetics, utility and a thorough understanding of customer needs and behaviors. In order to succeed, we need to achieve a balance. An effective product design will be wasted if beauty is not a part of holistic. As digital designers, our main tool is the pixel, but we have got higher-level tools too. We can use them to induce an emotional state. By using pictures and different shapes, we can create illusions of the physical world promoting familiar interactions while being in an unfamiliar environment. Mobile Optimisation; Is your website ready for a great mobile experience in 2017?